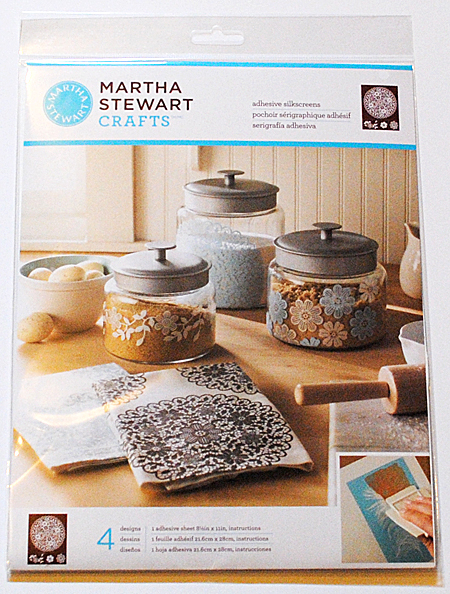 I was working with one of my favorite Craft Products again recently, the Martha Stewart Adhesive Silkscreens by Plaid. 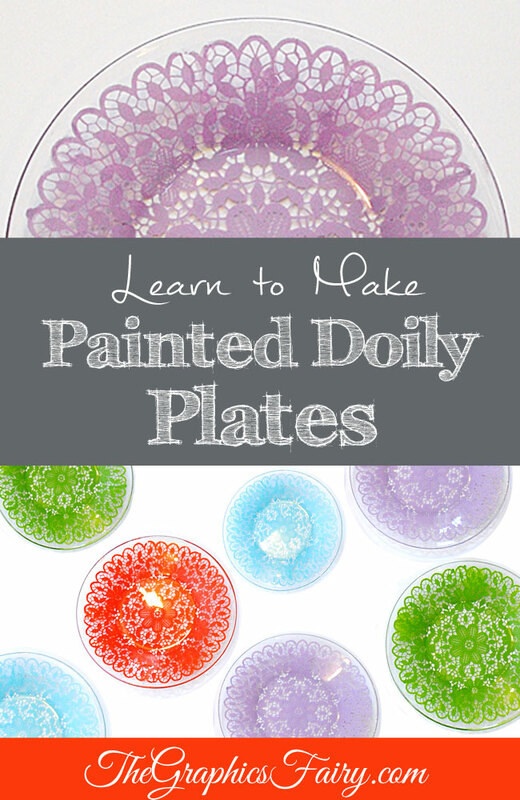 This time I painted a set of glass plates with the Doily Silkscreen. They turned out so cute and would be perfect to use as some fun dessert plates! This is the Silkscreen that I used. I’m not sure what the name of this one is, but it’s the one with the big Doily, it has some smaller Doilies in the package as well. I just picked up these blank Glass Plates at Walmart. 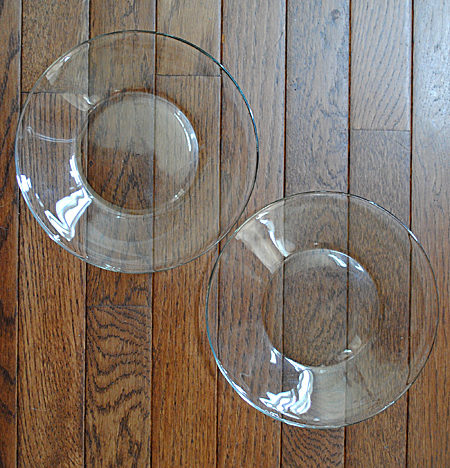 They measure 8″ across and were very inexpensive. I think they have similar ones at Target. I’m not going to do a step by step Tutorial this time, on the paint technique, because I have shown this loads of time on my blog already! In case you missed it though, you can follow the instructions that I wrote HERE on another Glass Painting project. 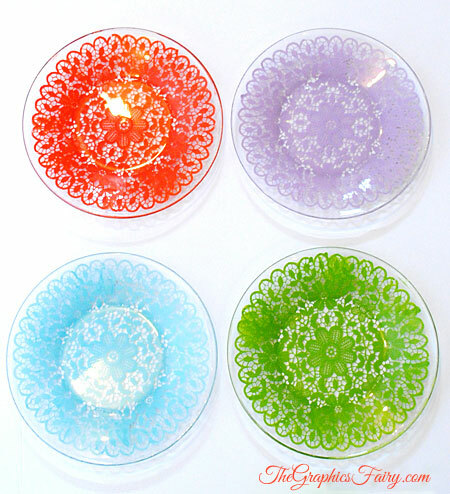 It only took a few minutes to paint each plate, and now I have a fun set of Painted Doily Dessert Plates in a multitude of colors. I think they are so pretty!! * I was not paid to write this post, however I did receive the Silkscreens for free. This post may contain affiliate links. These are really cute, and your fun colors make them extra fun. I think I might try this on an old window or mirror. very pretty these plates! and I love the colors you chose from Martha Stewart gloss glass paint! Those plates would make a wonderful gift for anybody. Love the colors you chose Karen, so bright and happy, would make any table look very festive. At our Michaels (Grand Junction, CO) it’s hard to find some things, they have different stencils in different areas so have to hunt around to find which particular type stencil you want. At least her paint is by stencils and other brands of paint. Will have to pick up some glass plates at Walmart and the stencil/paint to make these. 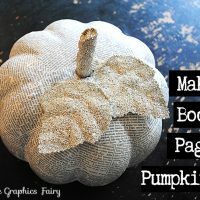 Love this post and project. Thanks Srpprcrftr! Yes, mine has them in a couple of different areas too. They market them with different product lines I think, so sometimes you have to hunt a bit! I enjoy your blog so much! You’re an inspiration for those (like me) that want to try new things. Ps: how does one get free silk screens from Martha Stewart? Thank you Ana! If you have an established blog, you can often times work with companies to get free product and blog about it, or even get paid. I loved these silkscreens from the moment that I first tried them, so I went to Plaid told them that, and they offered to send me some! I highly recommend a site called http://crafterminds.com/, that is a wonderful resource for crafty bloggers! How do you care for the dishes after they have been painted? Do they require hand-washing, or can they go in the dishwasher? I have the same question as Tracy, wondering if these need to be hand washed or can they go in dishwasher? Love your site. Hi Magi, Read my response to Tracy above! Thanks for stopping by!! Hi,the plates are very pretty.Your timing is perfect.What I really need is info if you can help me at all.I actually bought this Doily Silkscreen but I thought it was a stencil.What I was wondering,& I know nothing anyone says comes with a warranty but,I know these Silkscreens from Martha Stewart can be used more than once but I’m wondering if anyone can tell me,if I take care of it can it be like a stencil that can be used over & over like a stencil.Any info from anyone would help.Thanks Cindy. Hi Cindy, Yes, I have used mine many times! You just want to make sure you wash it out, as soon as you pull it off of your project. Don’t let the paint dry on them, keep them clean, and you can use them over and over, just like a stencil! Hello Karen, hey that`s a great idea!! My mother has some of those plates somewhere …thanks again!! That’s great Nana, you are half way there already then! Beautiful! I can’t wait to try the templates. Thank you Katy, I think you will really enjoy working with these! As noted before, these would make great gifts. I can see one piled with homemade cookies, wrapped with a bow and ribbon, as a hostess gift or Christmas gift. A nice balance between dazzling and affordable. I love that! What a great idea!! Wow! 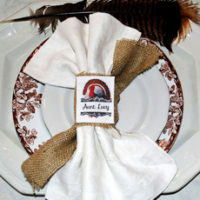 I am just loving these Adhesive Silkscreens doilies! What a gorgeous project, Karen! I assume that the paint is applied to the backs of the plates, which means that they can be used for food, but is the paint hand-washable? What a fool I am… I see that my question had been addressed long before I asked it! Aw, no problem Pat!! I’m glad you’re here!! I have these same silk screens, but I can’t get them to lie flat enough on the curved edges of plates to make them work. What’s your secret? Hi Abbey, it is a little tricky getting them to lay right. If you look closely you’ll see that my paint is not 100% perfect, but I’m okay with that since it gives them a handmade look … which actually they are! If you mess up really badly, you can wipe the paint off with rubbing alcohol and try it again. 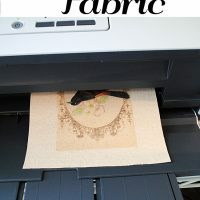 I have the straight lace stencil set (not the doily – yet), but what comes to mind for me is finding a large clear plate, doing the back in white lace and reducing a copy of my daughter’s silhouette at age 5 in black to use on the lace background. I found some plates at Michael’s, I believe, a while ago which were clear, but plain (w/o the flat center), and they simply fluted up on the edges. Very suitable for what I want to do! Thanks, Karen, for the inspiration!!! I love that idea Jamie!! I hope you make them, I think they will be really lovely if you do! This is such a neat idea! I found this on Pinterest and have never done this before. You make it look easy enough for even me to do. A few questions: Is the paint food safe? Or did you paint on the backs of the plates? Did you coat it with something afterward so the paint wouldn’t rub off as plates are stacked, used, etc.? I read your step by step instructions on your lace flutes, did you have to wash your stencil and let it air dry between each glass you painted? Or can you just use the same dirty one if you’re going to use the same color and get all your projects done in one sitting? Thanks in advance from a paint novice! Wondering the same thing about the paint, is it safe to eat off of, or did you work w/ the dollie on the back side of the plate? Yes, I painted the back of the plates, then there are no worries about putting food on it! Looks very interesting. I had bought a cake platter with painted on doily some years ago but unfortunately it broke. I was so upset. Now I have a question: Where can I purchase these adhesive doilies ? I want to see if I can recreate my platter that I broke.